Yes indeed. 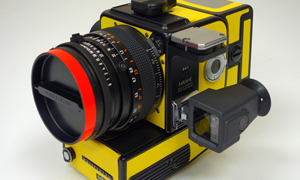 Camera fair season is upon us again. But this one is a little bit different from the last one. 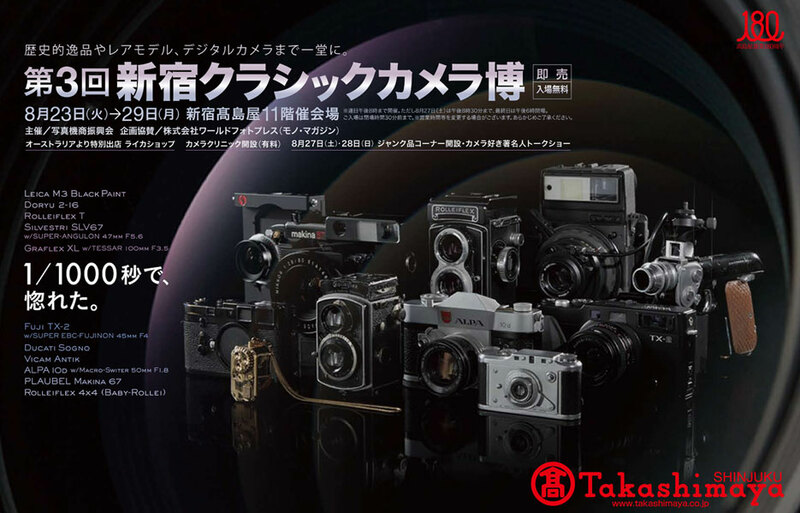 There are two different groups that hold camera fairs in Japan. The ICS is the biggie, with the best venues and the longest history, but there is a new kid on the block…The APCC, The Association for the Promotion of Camera Commerce. Although relatively new, they have already held some successful shows and now they are going to hold their biggest one to date in Shinjuku Takashimaya. 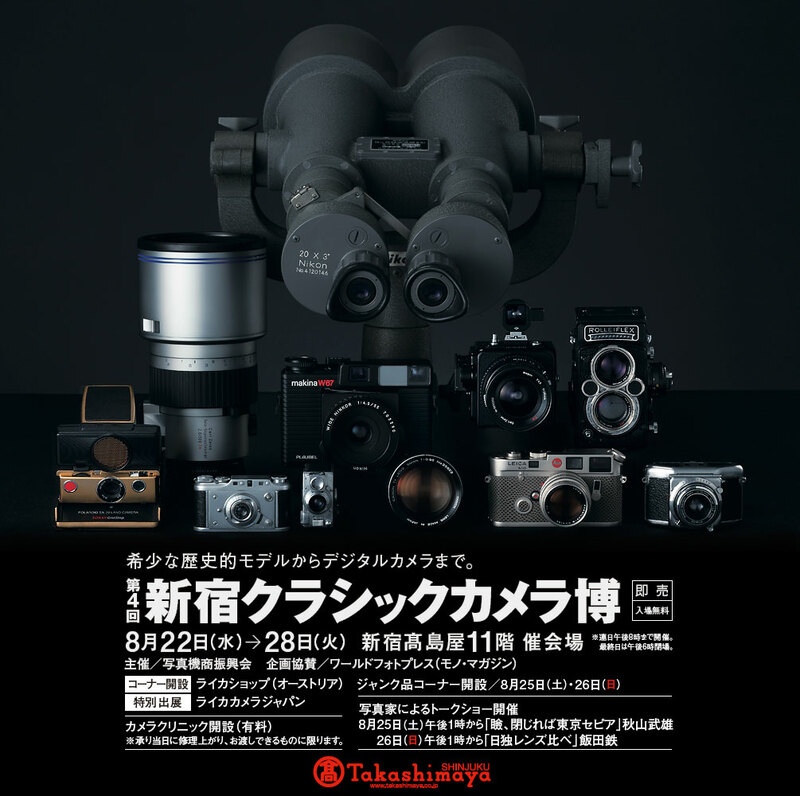 If you don’t know, Takashimaya is one of the biggest and most respected department store groups in Japan. The show will be held on the 11th floor of the department store, from the 22nd of August until the 28th. There will be a queue on the first day, you can bet your bottom dollar of that, because if it is anything like the last show by this group there is going to be some amazing items on show. Last time we saw the Original Nikon 1 black paint, owned by war photographer Jun Miki, which was being offered for a cool $300,000! 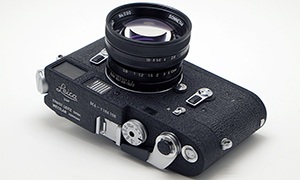 There was also the remarkable Nikon F number 88, one of the earliest ever made, which was sold for $35,000. As usual, the flyers for these things give you a tantalizing glimpse of what will be available on the day. There are going to be some lovely items there. 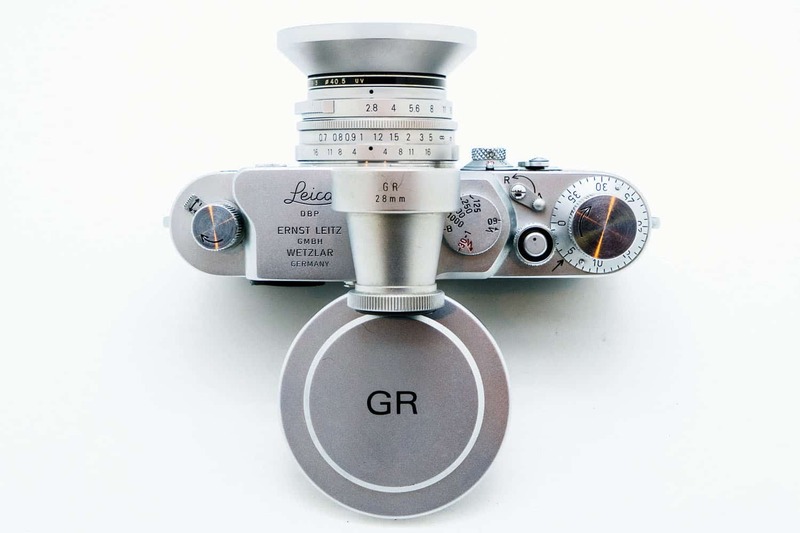 And there will be the usual guest stall from the Leica Store in Vienna, which will have some astounding items on display. I will be there, doing my thing and buying for all of you lovely people. I hope to see you there too. If you are not going to be there but you want me to look for something for you then mail me and I can get you something special. 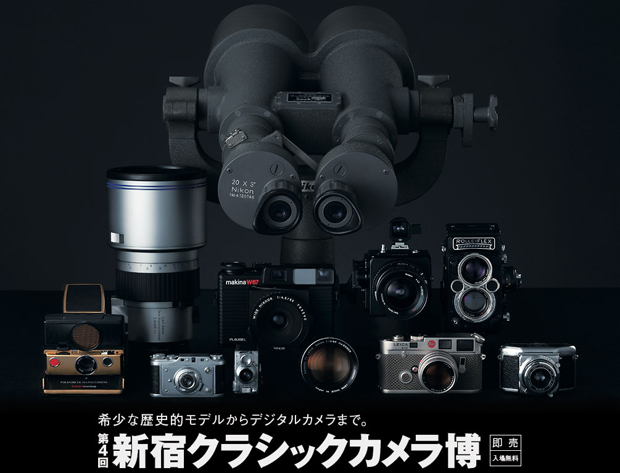 Afterall, I am Japan Camera Hunter. Sweet! I’ll actually be back in Tokyo around that time so hopefully I can check it out! I’ll be in contact anyway to work out a time to meet-up and have a beer. I can’t make it, but I’m glad Bellamy will show us photos and acquisitions! Thanks for the heads up – I’m organising a trip from HK to Tokyo for the event. 1) Any idea how the prices might compare to vintage stores here in HK? 2) Is it the place where I might find a bargain M6 in “working” rather than “mint” condition? I get the feeling it’s the place to show off shiny rare items, rather than just plain old working cameras? Or am I wrong? 3) Do you think it likely that credit card facilities would be available? Or is it probably going to be cash-centric like most places? It might be a bit more than in HK, it depends on the item. You will find working cameras there, not just show pieces. There are a lot of stores there clearing stock. There are credit card facilities, but sometimes you get better deals for cash.